that bookstores want to display, and readers want to purchase. Our mission is to help you publish successfully. Whether you are a self-publishing author or an established publisher, we offer a complete range of book design, production, and print management services. Your book design can build and project your unique publishing brand. We believe that quality book design and high-production values adds help attract distributors, retailers, and buyers. With Design for Books you can call us and speak to a real person who will answer your questions and guide you through each stage of the process. We view every project as unique, giving attention to your content, your brand, and how to enable you to stand out among your competition. Your success is our success. 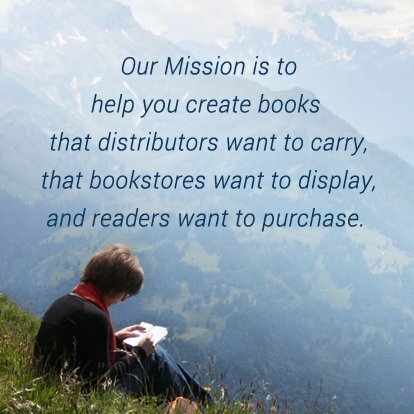 We provide top-level service to both self-publishing authors and the world’s largest publishing companies at affordable and competitive rates. Our clients include large and small independent publishers, top ad agencies, and university presses. We have done projects for The American Institute of Architects, Barons, Columbia University Press, Cornell University Press, C&T Publishing, DDB Needham Worldwide, Glencoe, Guthy-Renker, Harcourt Brace, Lintas, McGraw-Hill, New Media Entertainment, Scholastic Magazine, Ten Speed Press, and many more. We also provide the same high level of expertise to many authors, business leaders, celebrities, and non-profit organizations, such as The Connecticut Children’s Museum, fitness coach and actor Clark Bartram, Hollywood star Brenda Dickson, and many others.